Large, airy and full of sunlight, all the branches have more or less the same cuisine: a mealtime buffet supplemented with quick eats and tasty snacks for the rest of the day. 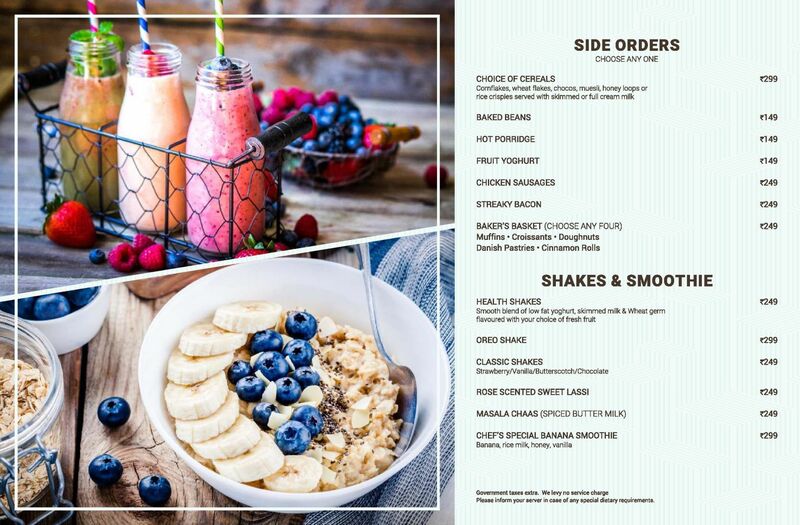 The breakfast menu is an attractive proposition as the offerings - mostly Western-style - are high on the health and taste quotient. 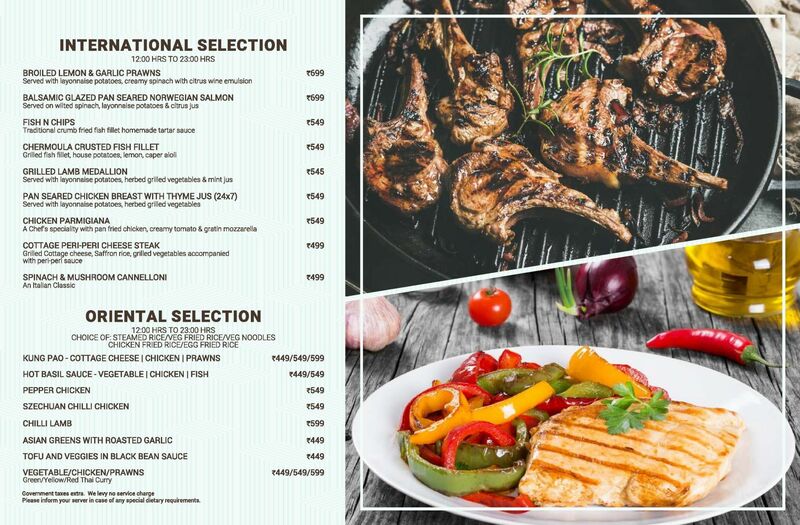 There are various sections of the menu that are available at different times of the day. Grilled prawns with garlic cream sauce is a good choice, and makes an excellent accompaniment to a glass of beer. Popular among the locals, corporates and foreigners â€˜New Town CafÃ©â€™ is very much in demand in Hotel Park Plaza, Sushant Lok area, Gurgaon. This twenty-four hour cafÃ© is a godsend for youngsters looking to grab a bite at ungodly hours. After late night study session or before early morning run you can stop by this lovely cafÃ© for a quick cup of coffee with a small bite. The cafÃ© is casual smart and also comfortable. It can easily house large groups and is designed to encourage conversations between friends. The room is large and airy done up in tones of black and white with huge windows on each wall allowing natural sunlight to filter in. Casual, laid back attitude invites the customers to relax and enjoy freely. The buffet and a la carte menu attracts clientele from nearby offices dropping in for a quick meal at lunch hour. 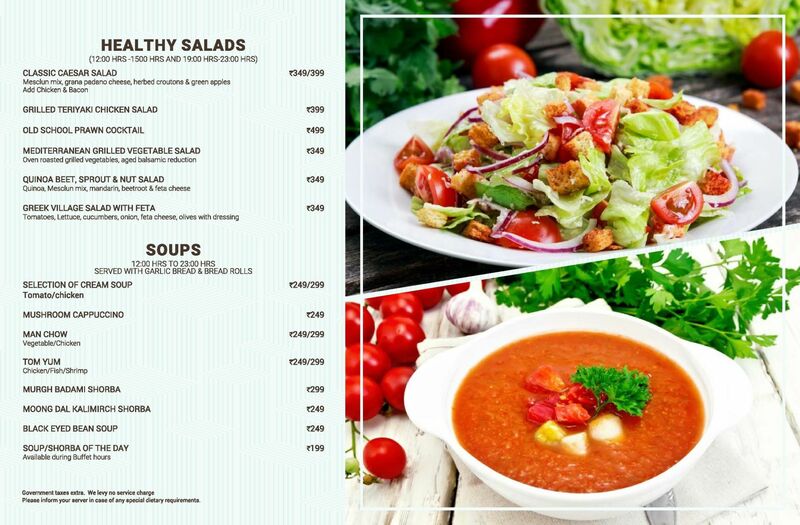 Menu is multi-cuisine and offers tremendous variety. 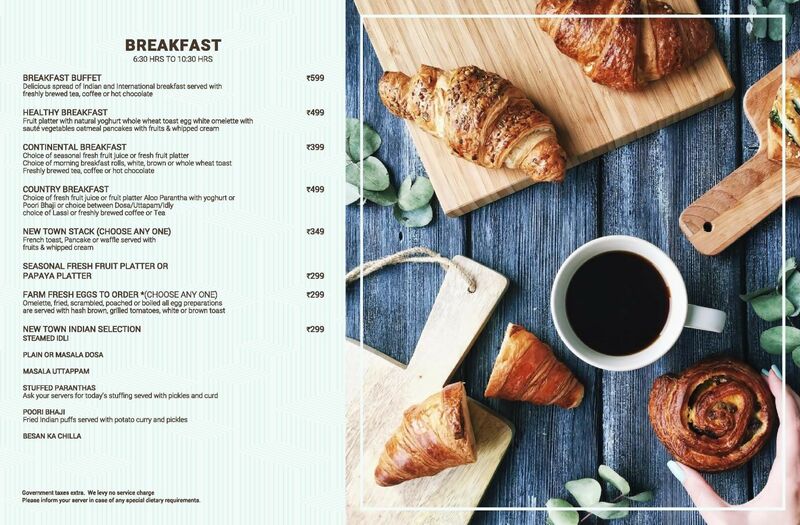 Rise and shine with the breakfast section which enlists bakerâ€™s basket, eggs, waffles, pancake, French toast, breakfast cereals, poori-bhaji, idli, chilla and paratha. 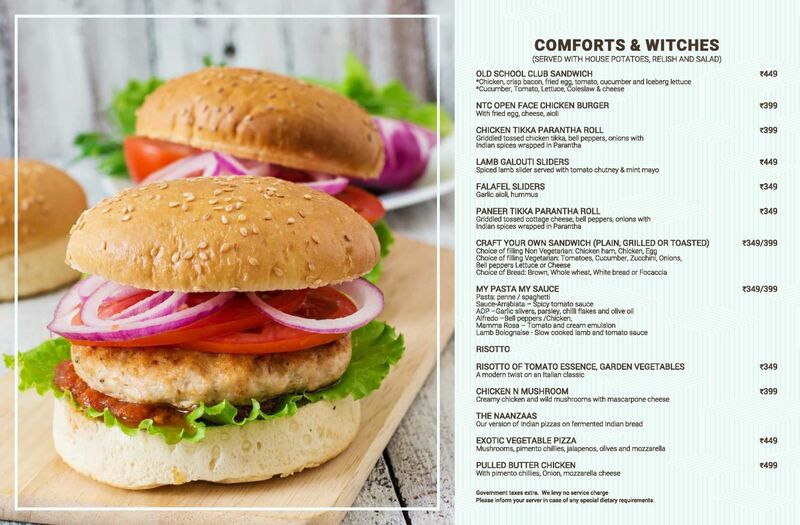 For lunch and dinner start with their delicious appetizers menu. In which smoked salmon and tuna salad, lemon garlic prawns, raw papaya & pickled cucumber salad, Chinese clear soup, mushroom cappuccino, spinach, artichoke & mushroom formaggio, hot & sour soup and mulligatawny soup. Filled with lovely goodness of coleslaw, tenderloin, chicken, cottage cheese, cheese and balsamic glazed vegetables are focaccia, whole wheat bread, brown bread and white bread. 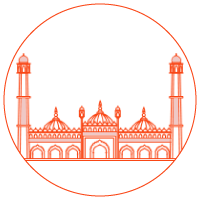 The mains display variety in three different cuisines, continental, Indian and Oriental. Pepper spiced lamb chops, chicken parmigiana, thai vegetable red curry, rarrah gosht, nasi goreng, penne arrabiata, Singapore noodles, fish n chips, salmon steak, double cooked lamb with oyster pepper sauce, chicken chettinad, paneer makhani, Cantonese lemon chicken and ricotta & vegetable cannelloni are lip smacking tasty. The pizzas on the menu are hand tossed and loaded with delicious toppings to exceed in flavour. The final stop which is sweet and tempting offers delectable desserts like gulab jamun, kesari kulfi, apple crumble pie, classic tiramisu, baked ricotta cheesecake, fresh fruit platter, caramel custard and green tea mousse. 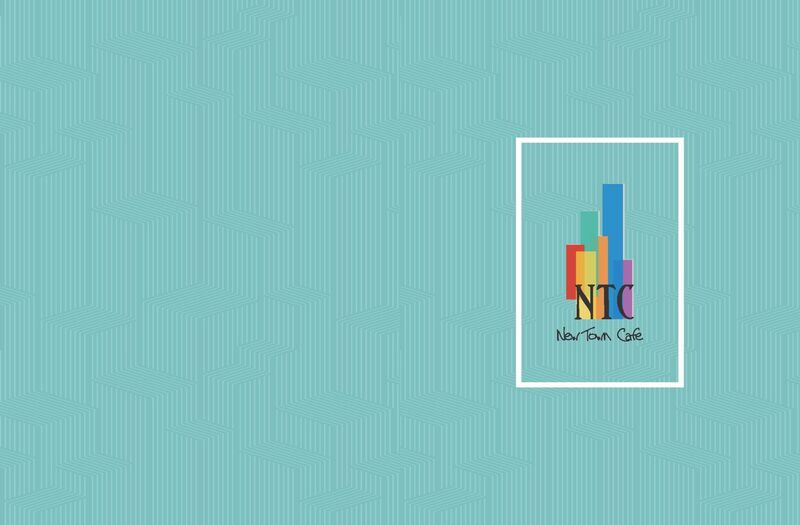 New Town CafÃ© is where you can discover old/new friendships and bond over early morning breakfasts. Friendly and warm staff will welcome you with a smile regardless the time and attend you like a royalty. New Town CafÃ© is only mildly pricey but advantage of getting served at any hour of the day seems to hold attraction.